You undoubtedly are well aware of how stress affects your mental health, as that connection is obvious. What a lot of people don’t realize is that there are physical signs of stress that manifest before you may even realize how much stress you are enduring. You may think your physical discomforts are due to other factors, but in fact there might be long term effects of persistent stress and anxiety that you will need to deal with sooner or later. Below you will find a few of the most common physical signs of stress and ways to manage. 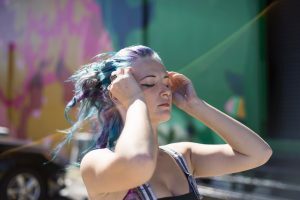 Increased stress will cause muscle tension, and as a yoga instructor over the past 20+ years I can tell you that most people do not notice that muscle tension until they are in dire pain or even crippled by it. It’s a wise practice to tune in and make it a practice to notice even mild levels of tension in your neck and your back before it develops into pain. Chances are that you are feeling stressed and are adopting particular positions that can cause serious damage to your muscles and your joints over time. A good way of dealing with this is taking on a regular exercise routine that includes regular consistent stretching before and after your strengthening or cardio exercise. Try gentle yoga postures in the morning taking your time, breathing slowly and deeply as you stretch, and focus on having healthy posture during the day. Be careful about sitting in the same position for more than 15 minutes. Shift, get up and move, stretchier opposite directions of your sitting position while taking walking or bathroom breaks. Some people benefit from taking a magnesium supplement for healthy and supple muscles. Talk with your healthcare practitioner if this kind of a supplement might be a good choice for your body. Irritable bowel syndrome (IBS) affects more women than men, and can be very painful and inconvenient to say the least. Cramping, diarrhea, and other intestinal symptoms may be physical signs of stress. If you have noticed that you are no longer able to eat your favorite foods, are running to the bathroom more often than is normal or healthy, chances are that you need to deal with the problem. Attention to the foods you are eating and tuning into your body’s distinct reactions and needs are key to finding the answer to relief. But we know that IBS is most often directly related to stress levels. Attention to your mental stress using natural remedies to manage the body-mind response to stressors can have an impactful and positive effect on the health of your digestive system. When you are feeling anxious much of the time, you will find it hard to switch off. Your thoughts might be going around your head long after you hit the bed, and you will eventually work yourself up over not being able to sleep. You might try to drink some soothing tea before bed. You might consider reducing, or better yet eliminating your alcohol and caffeine consumption. Develop a meditation practice. Be mindful of the thoughts that bubble up into your awareness, acknowledging your negative thoughts and letting them go. When anxiety awakes you in the middle of the night, without turning lights on you might move into another room where you can practice some relaxing breathing exercises and then return to your bed rather than tossing and turning. A lot of combatting insomnia isa process of not giving into the runaway thoughts that come with awaking in the middle of the night. Sometimes chest pain can be mistaken for a heart attack. Many people suffering from panic attacks and anxiety report this problem but chest pain can be one of many physical signs of stress. If you would like to reassure yourself that there are no major problems, you might go and see a heart doctor in your area and get a full examination. If you worry about your heart, you will only increase your stress levels and your symptoms. People often experience headaches as well as a symptom of stress and anxiety. Sometimes headaches have biological reason and it’s wise to get checked out by your doctor. You also might try keeping a food journal and noticing if certain foods seem to preceded the headaches you are experiencing. Otherwise, muscle tension can lead to headaches so stretching and exercising can help to combat this. Having a morning or evening walk can make a huge difference in your life, and help you take your mind off the problems that cause you to get stressed out. People often mistake the psychosomatic symptoms of stress with something very dangerous, but in most cases, it is often your body attempting to communicate that there is something going on in your life that is causing high levels of stress., You can be reassured by first ruling out any true medical issues. Apart from medically based reasons for these physical symptoms, you can feel empowered to create a stress management plan to help alleviate the physical symptoms and manage the mental and emotional stress you are feeling as well.